As someone active in your second or third career you might have investigated shared office spaces as a place to work from. When you are consulting, or freelancing, or just want a place with WiFi to sit and work on your next book, these shared offices sound like a good alternative to the often noisy coffee shop. If you are at all like me (55 years old, with a portfolio career), you have found these places rather cold, corporate and, frankly, designed for a younger crowd with hard edges and a self-consciously trendy look about them that makes you feel less than hip enough. Enter Better – a new kind of shared space that is designed to be gentle, warm, cosy and welcoming. Better is a collaboration between myself (Judy) and my son, Andrew, that was born out of a desire to find a better place to work on our writing and other creative pursuits. We both found that while we enjoyed solitary creative work, it became a bit too solitary at times. We wanted a place to go and hang out with the equivalent of colleagues that a “normal” job provides. We also wanted a place where we didn’t have to be on our best behaviour, but could take off our shoes, and lie down on the sofa for a nap after lunch. So we made Better, a shared space for creative makers to work, socialise and collaborate. We called it Better because we wanted it to embody all that would make life better. We embrace a slower pace of life, appreciating that making wonderful things takes time. We value handmade over mass-produced. We work hard to be humane rather than efficient, and personal rather than professional. If you are consulting or freelancing, Better offers a place to come and work, with free WiFi and refreshments, administrative services and tech support to keep your laptop and phone working. There are also opportunities to connect with others and develop contacts and your business. If you would like to develop a consulting business, there are courses, a small library of books and curated lists of online resources to assist you in identifying a market, finding clients, using social media, pricing your work, and running your business. I create for the joy of seeing something that was not there and knowing that it was me who bought it into being. If you have a long-neglected yearning to do something creative – to paint or draw or write a book – Better is a place to do that. We provide resources: art and craft materials, tools, books, courses and carefully curated lists of web sites and YouTube videos. If you have always had a creative hobby – embroidery or building model boats – Better is a place to work on your hobby. Perhaps you can offer a course to others who want to learn and add to your income in the process? Better can also be a place just to socialise. Come along to our events, or treat it as your club. Meet your friends here for coffee in the garden, or to plan your next yarn bombing. Join our writer’s tea on a Friday morning for a casual interaction that includes a bit of a writing challenge, or drop in and draw a still-life when you feel like it. We are cross-generational, catering for people from 18 to 108 so you will be guaranteed of meeting an interesting mix. Our members include young freelancers, stay-at-home mums, and crafters of all ages. 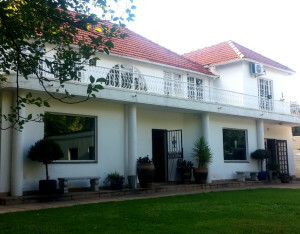 Better is centrally situated on Oxford Road, between Rosebank and Killarney. Membership starts at R550 per month or R150 a day. Find more information on our web page or call us on 011 327 6098. Hi Elspeth, please contact them direct.